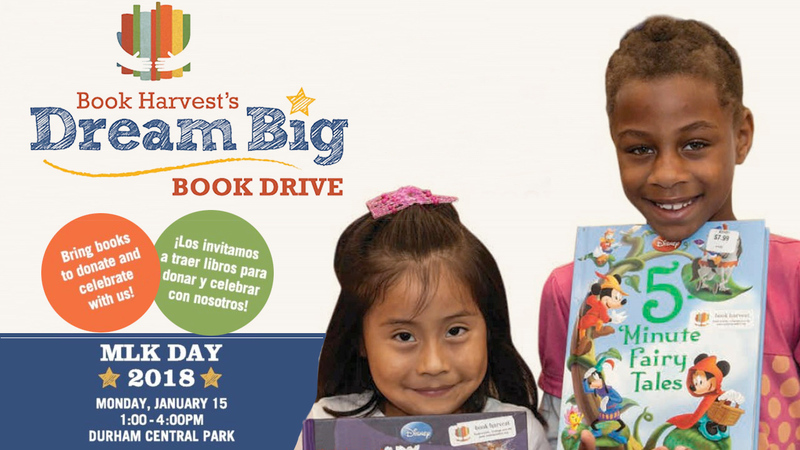 ABC11 joins Book Harvest to collect books for the "Dream Big Book Drive" on January 15 at 1pm in Durham Central Park. Please bring your gently used and/or new children's books, and meet Eyewitness News Anchor Tisha Powell who will be there to kick things off. Go to www.bookharvest.org for details.